Last night, due to system BUG, there were some repetitive items which were retrieved actually but still sold on the site. We already moved off those items and they are limited to sell again, then we also fixed the BUG. We will count these items, and delete them before Oct 1 if they are repetitive bought. If you have bought those items, don't worry, we will give the money back to your balances. Sorry for the trouble. To better safeguard your property, build a healthy trade platform and push the whole industry to develop, C5 decided to adjust the commission between trades after careful consideration. After adjustment, C5 promises that every item on sale will be safe, and when items disappear in trade bots or get locked, C5 will give relevant compensation. Because of commission adjustment at 14:00, Aug 30, we will remove items being purchased and close purchase function at that time. We hope you can trust that, only when those trade platforms can make profits, they can make great efforts to guarantee users’ property without taking the risk of gray income and make a living under Steam’s rules. Although decision of commission adjustment is hard, we believe it will affect the whole industry of items trade positively and gradually becomes default criteria. Please understand C5 and keep supporting C5, we will always be with you! About rumors spread in Baidu Post Bar and QQ groups recently, C5GAME always pay attention to them and also keep those false opinions and comments of rumormongers as evidences. We release this announcement in order to face the slander during this period and appeal to you not to believe rumors. When our site restarts, quantities of recharge and withdraw rise suddenly and sharply so that our payment system are under great pressure. To handle this situation, we will work with payment operator to fix it and it will become normal soon. The domain name, imbastar.com, as you see, is the specialized one we use to apply Internet culture operation license. Both two domain names belong to our company, with no relevance to other betting sites, so you can use c5game.com without scruple. Because locked items can’t be added to sell, we have moved your locked items to a single list in your inventory that they can be distinguished from those tradable ones. Also, it is convenient for us to calculate the total value of your locked items. The reason is our system doesn’t read your inventory. Our programmers are doing rush repairs and items will be recovered in your inventory soon. We are sorry for this trouble but you can use C5GAME without scruple. Nowadays, many accounts register in North America. They are not commonly used accounts but they add our cost of operation and maintenance, especially high SMS verification fee. So we ban trades of North America. This happened in October last year, not recently, and the reason was, users spread our site on Steam in order to join our activity then Steam marked our site as a malicious link. So it doesn't mean we are now against by Valve. About the final result, I conclude it with some important points. 1. Our trade function has no problem, which is confirmed by Valve. 2. Unluckily, Valve said our bots won't be unbanned so that you can't get your items back. 3. Our full compensation plan:Formula: User A monthly compensation= (User A locked items' value/All users items's value)* C5 monthly profitFull compensation plans to take half a year, perfect state is to compensate 5%, 10%, 15%, 20%, 25%, 25% month by month.Counting compensation at the end of every month with 80% of company's profit.When we count item's value reasonably, market price will be our reference. All users' loss will be counted uniformly and it will takes a long time so, it is normal if the price fluctuates. 4. Trade function will be opened soon and we promise to develop no other services which are irrelevant to trade. But to make a living, we need to charge some commissions, hope you can understand. About this issue, we know, it is a big loss to all Steam users, we hope you can stay with C5. We make such a compensation plan because our foundation is only 1 year and we don't have any capital background. Trust us and we will try our best. Thank you again for always being with us! Because many users reported that C5GAME withdraw service takes long time and has many problems, C5GAME paid high attention to it and founded a special team to adjust this service. Login with Steam will have red notice, it's beacuse we have malicious reporting by competitor. We are still safe. You can click low right corner to continue. Hi, everyone. Because of a little negligence, there is an emergency that we need to inform you. At the beginning of C5GAME's establishment, we used a batch of phone numbers to register a batch of robot accounts to trade on Steam and these robot accounts always maintain trades on C5GAME. But as a result of inexperience, now we find all phone numbers down and most of them are recycled by mobile company. It may be given out again. This situation will lead to risks of our robots so we have to unbind all phone numbers and bind new ones. According to steam's policy, our robots can't trade in 15 days. So, as you can see, all items in inventory are locked for 15 days and during this time, users can't deposit or retrieve. This is a hard decision to make, also one of difficulties C5GAME faced since we established. We really hope you can forgive the mistake made by our young team and always support us to move forward. In these 15 days, we will hold activities and will start the new event, Roll. Also, we will give out benifits as compensation. Stay tuned and be with us! Items in this kind of condition can't be retrieved now, but can sell. 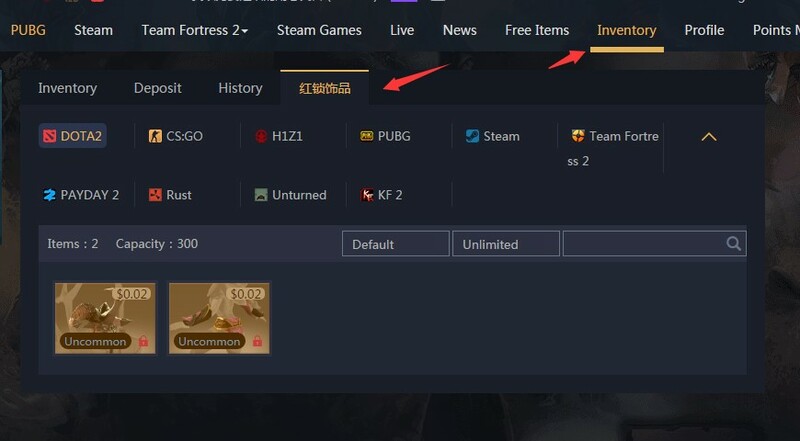 If items have a lock icon on the top left corner, they can't be retrieved now but can trade. Those don't have a lock icon can be retrieved normally.